Item number 3129/2 a-b from the MOA: University of British Columbia. 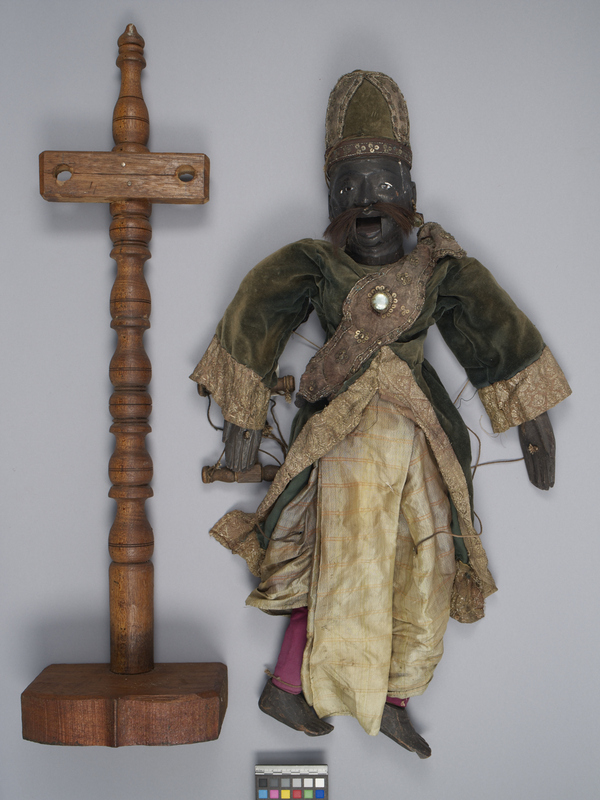 Puppet of a standing man wearing robes. 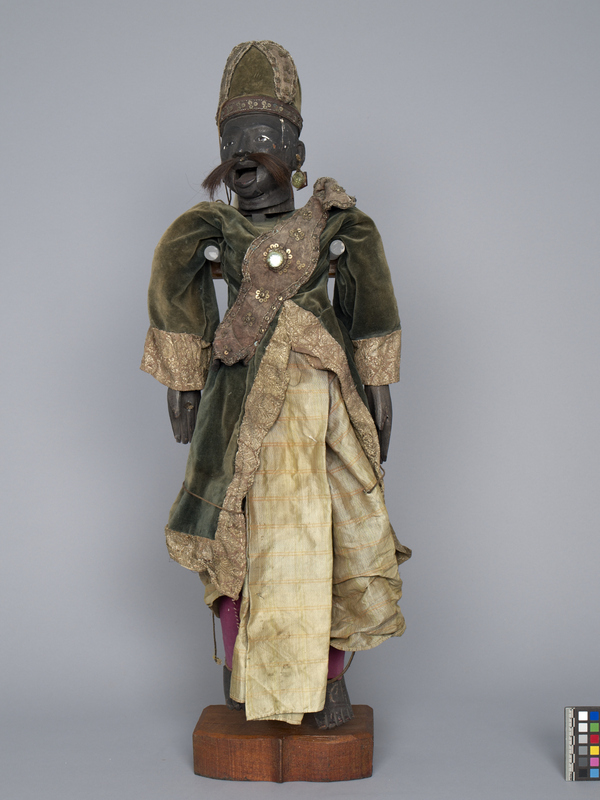 The figure is made of wood overlaid with an elaborate suit of clothing that includes a light green silk under-tunic and dark green velvet coat edged in a panel of silk heavily embroidered with metallic thread. A canvas sash falls across his torso, embellished with metal sequins and a large jewel at centre. On his head is a rounded hat decorated in velvet, canvas and sequins. Purple pants clothe his legs. 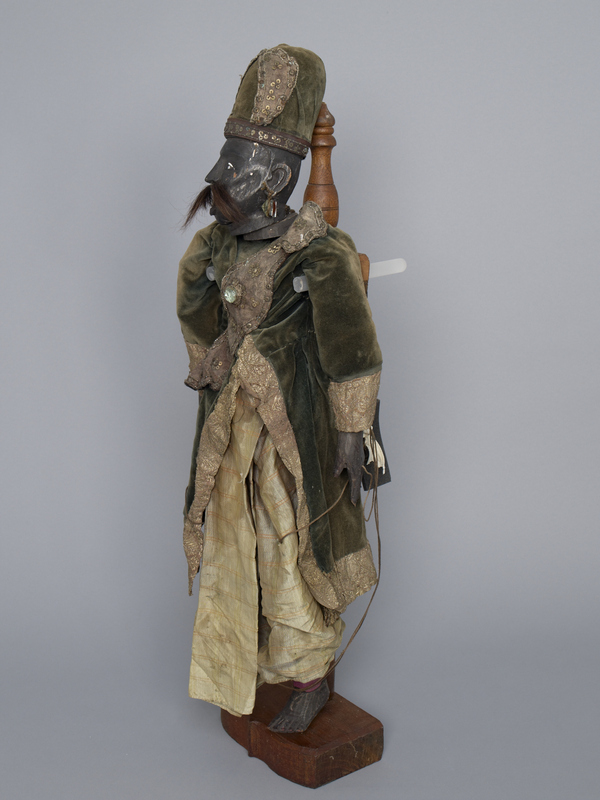 The puppet's feet are bare and painted dark brown, as are his hands and head. His face contains inset plastic eyes, a plastic gem earring hanging from the left ear, a mustache of hair, and a moveable chin. Thick string is attached to the hands, elbows, feet, knees and head, leading back to a wooden controller. Part b is a wooden stand with a thick base and decorative post.